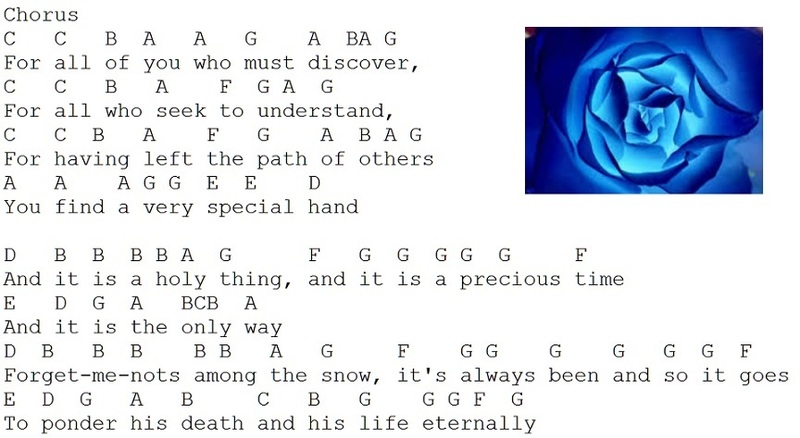 Bright Blue Rose Tin Whistle Music Notes. 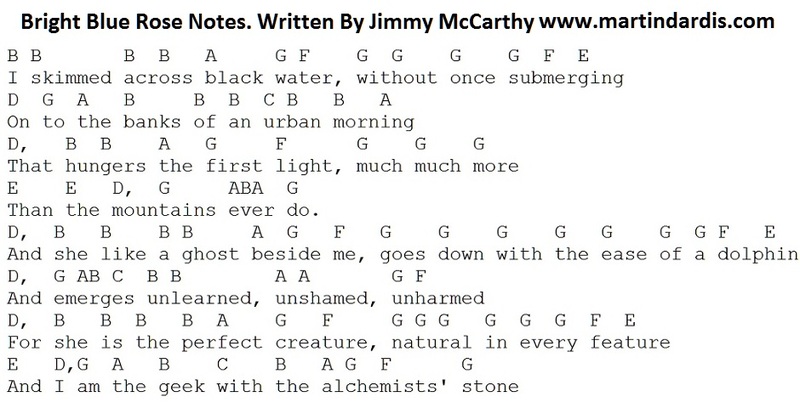 Written by Jimmy McCarthy. I made this piece especially for the whistle. If you are playing it on another musical instrument then in the line ''You'll Find A Very Special Hand''' you should play a low C note for the second part of the word ''Special'' and back to D. This is because I set this in the key of D and you can't easeally play the low C note on the whistle.